This unique watch also doubles as an activity tracker and provides smart notifications to connect you with your active and healthy lifestyle. The all new Garmin Approach S20 Golf GPS Device in black: is a sleek and lightweight GPS golf watch which provides more convenience on the course with distances for over 40,000 preloaded courses including hazards, plus ‘Green View’ and the new Garmin AutoShot™ round analyser feature for detailed game analysis via Garmin Connect®. The Garmin Golf Approach® S20 is the golfing partner that doubles as your everyday watch. 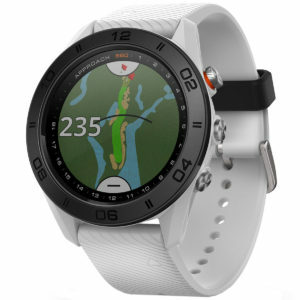 Stylish, sleek and lightweight, this versatile GPS device which features more than 40,000 courses plus automatic map updates, daily activity tracking and smart notifications to connect with your healthy lifestyle. Out on the golf course, you’ll see precise distances to the front, back and middle of the green, as well as hazards. Garmin AutoShot round analyser measures your shot distances and auto-records them for review on your Garmin Connect account. It’s the perfect golfing partner for the modern busy golfer as you can receive smart notifications for calls, texts, emails and other alerts right on your wrist too. EASE OF — USE: Fits your game flow, all information you need for your next shot is made available via clear graphical user interface. 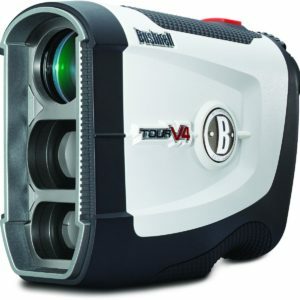 AUTOSHOT: Automatically measures every shot distance for post-round analysis on Garmin Connect. LIGHT DESIGN: Slim and light, modern watch design for great style and wearability on and off the course. AUTOMATIC UPDATES: CourseView auto updater lets you easily download updates of the courses you play most frequently, even on the go. HAZARDS: Hazard view shows locations and distances to bunker and water hazards. GREEN VIEW: Displays the shape of the green with manual pin placements. TRUSWING COMPATIBLE: When paired, Garmin TruSwing golf swing sensor provides metrics to improve your swing consistency. GARMIN CONNECT: Wireless connectivity to automatically upload scorecards and round stats then share online with Garmin Connect. 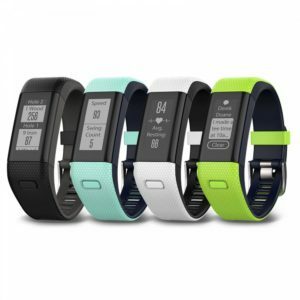 ACTIVITY TRACKING: Reminds you to stay active once off the course with move bar and vibration alerts. Displays steps, calories burned, distance and time of day, plus it monitors hours of sleep. SMART NOTIFICATIONS: Receive smart notifications for incoming calls, texts, emails and other alerts directly on your watch. HIGH-RES DISPLAY: 1.3 inch sunlight-readable, high-resolution display. LAYUPS AND DOGLEGS: Provides distances to layups and doglegs to plan the perfect approach. YARDAGES TO THE GREEN: Yardage to the front, back and middle of the greens displayed in large, easy to read numbering including preview of the green layout. GPS RECEIVER: High-sensitivity GPS acquires satellites quickly to show distance to greens, hazards and doglegs – even under tree cover. DIGITAL SCORECARD: Easily keep track of your score throughout your round. PRELOADED COURSES: Over 40,000 preloaded international courses and free lifetime course updates. BATTERY LIFE Rechargeable battery: 8 weeks in activity tracking mode; 15 hours in GPS mode. • Course analysis: View hole-by-hole details and understand trends and tendencies on your favourite courses. Available as a mobile app and/or on your computer. Add another level of fun and competition to your game by downloading the free Garmin Golf app to your phone. Each round can take on a tournament feel on any of over 40,000 courses worldwide. Players can compete in weekly leaderboards, set up tournament events, live chat, post results and more. Weekly Leaderboards – Compete against your friends and fellow golfers on the same course, plus view other players rank, score, handicap and more. Create Tournaments – Set up your own tournament event and invite multiple friends to compete. Live Chat – During a tournament event, players can make comments or live chat with each other while on the course. Course Coverage – Use the Garmin Golf app on over 40,000 golf courses around the world; each course contains its own weekly leader board that anyone can participate in. Garmin Golf app is available for anyone to use — simply download the free app to your phone to start using on the golf course. 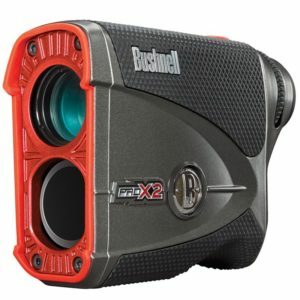 Golf Handhelds: Approach G6, G7, G8, G10, G30. If you have a compatible Garmin device, your scorecard will upload when you sync to the app through Garmin Connect™ or Garmin Express™. If you do not have a compatible Garmin device, you will need to enter your score manually. Please note: The following compatible devices must use Garmin Express to sync to app: Approach S2, S3, G6, and G10; all other compatible devices can use Garmin Connect. Get live scoring when using the new Approach S60 golf watch! View live scoring on the weekly leaderboard throughout the entire round.